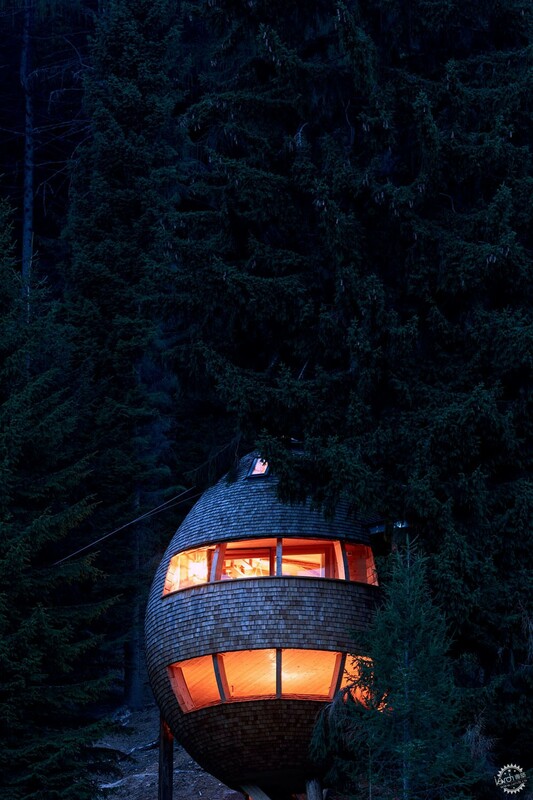 A circular skylight in the tip of this pinecone-shaped treehouse by architect Claudio Beltrame in the Italian Alps allows the occupant to gaze up into the starry sky at night. 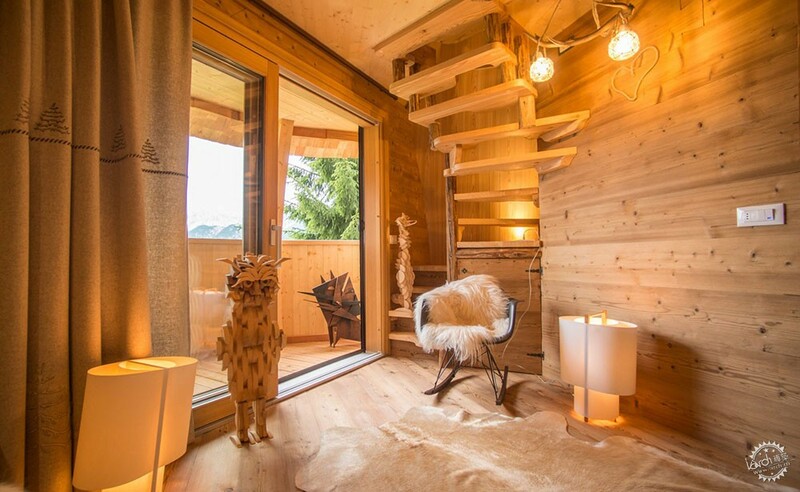 The structure located in the town of Ugovizza in the Dolomites is available as a holiday let. 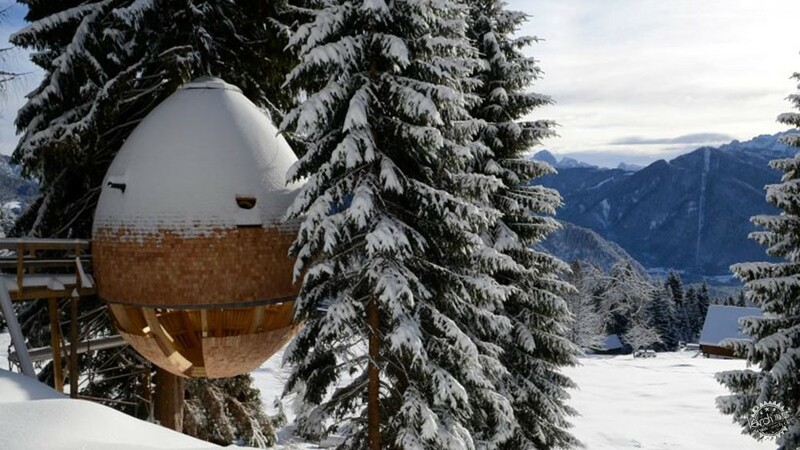 Italian architect Claudio Beltrame created the treehouse in the shape of a pinecone, the woody fruit of the pine trees native to the coniferous forests of Tarvisio where his studio is based. 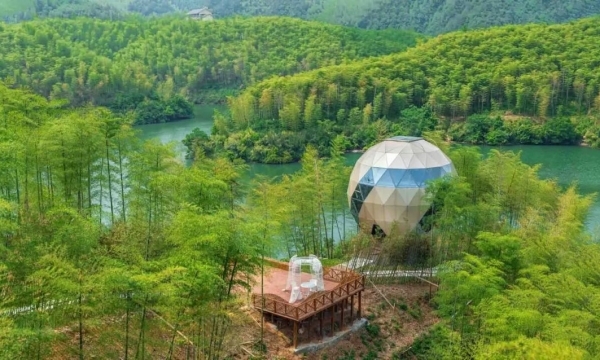 He was inspired to create the treehouse in response to growing popularity of ecotourism and escapist retreats. "Shelter in a tree has always been the best place to dream," said Beltrame. 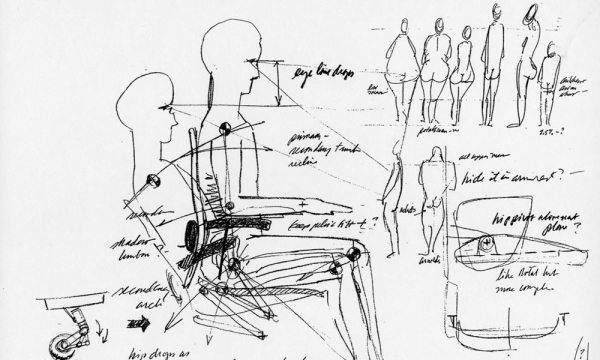 "[They're] man's primitive place and a place of liberty and reflection." He was also guided by the philosopher Michael Foucault's theories of Heterotopias – spaces that operate outside of society and its systems of control. 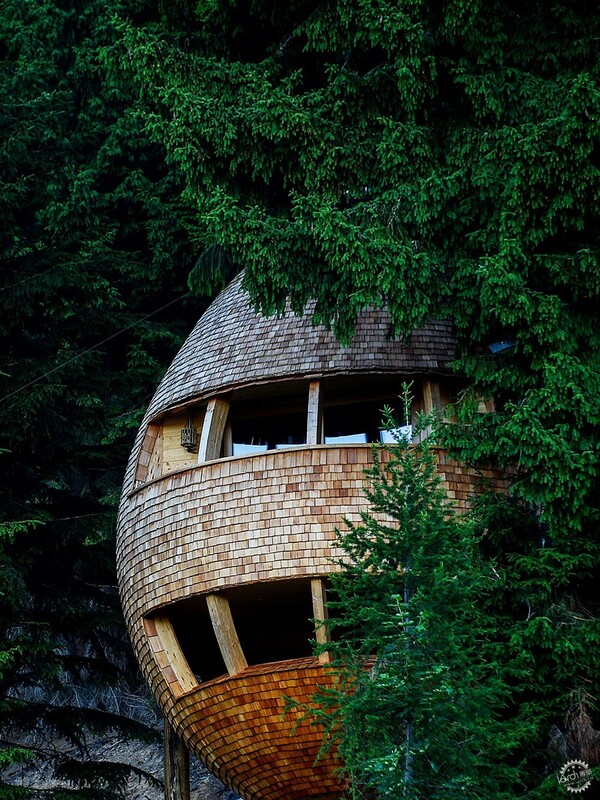 Described by the architect as "houses without foundations", the treehouse is suspended 10 metres above the ground, supported by the surrounding fir trees and accessible via a bridge. The architect produced the structure in collaboration with DomusGaia, an Italian company that specialises in wooden prefabricated houses. The larch shingle cladding is cut into overlapping shapes that mimic pinecone scales. 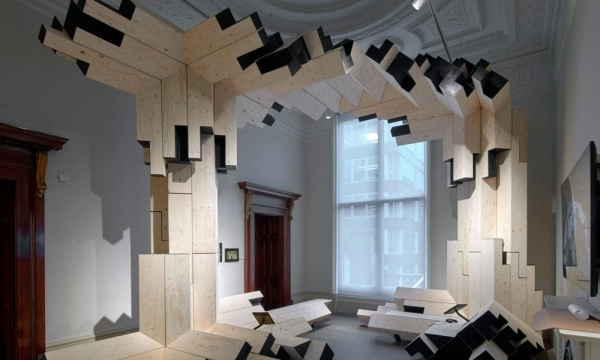 The frame is built from cross-laminated timber moulded into boomerang shapes and insulated with breathable wood fibre. All the wood is sourced from the Alpe-Adria area, which is currently working towards becoming the world's first organically farmed bioregion. 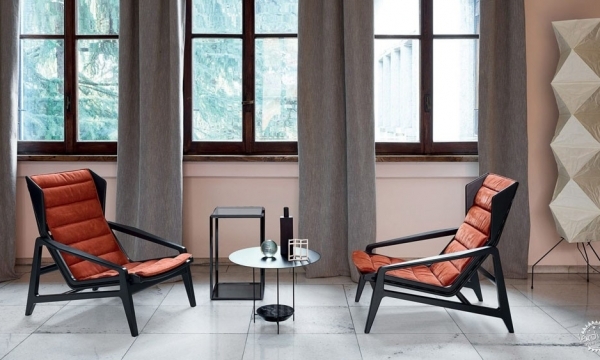 As well as referencing the environment in its exterior appearance and shape, Beltrame designed the treehouse to help occupants to feel connected to nature at all time. The house is arranged over three levels, with 360 degree windows on the ground floor providing views out over the mountains. The second floor has large windows with sliding shutters in the covered balcony area. Inside there's a seating area, kitchen, and bathroom. 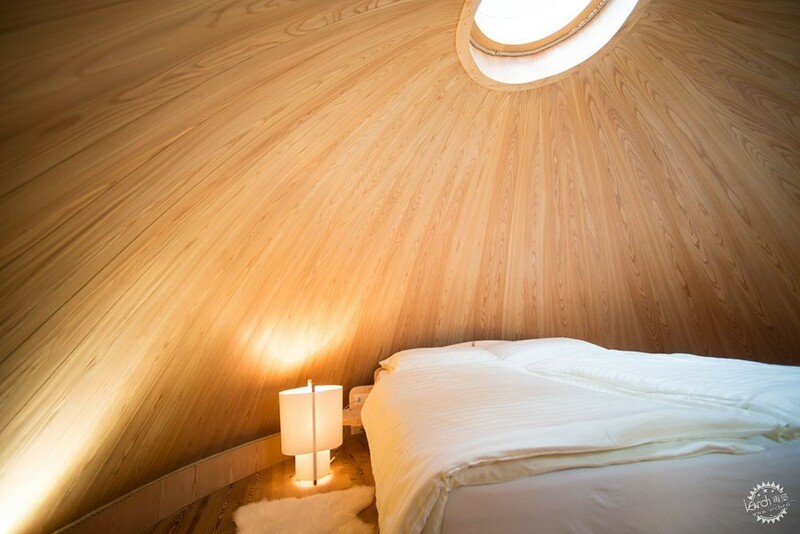 The bedroom is on the top floor, with a skylight carved into the roof above the bed. 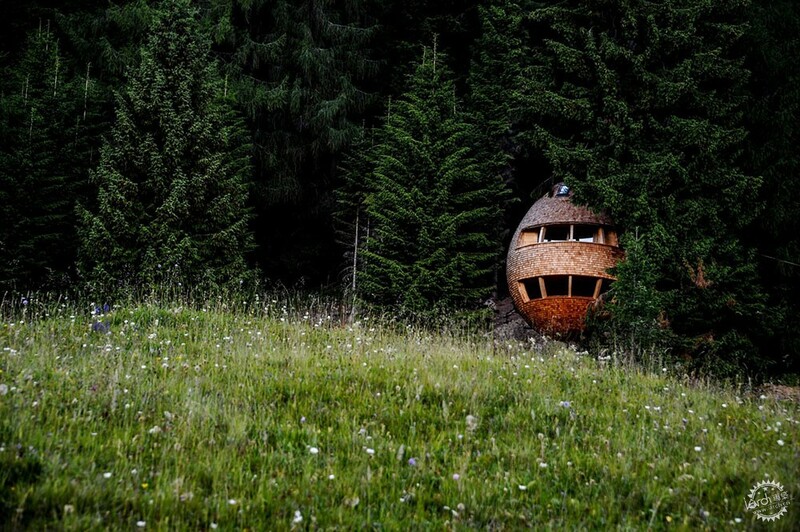 The area the treehouse is located in sits at 1,200 metres above sea level in the Dolomites, a UNESCO World Heritage area. Remote treehouses are particularly popular in the world of ecotourism. London-based Baca Architects recently designed a treehouse shaped like a cocoa pod for an eco hotel on an island in Panama that is only accessible by boat. 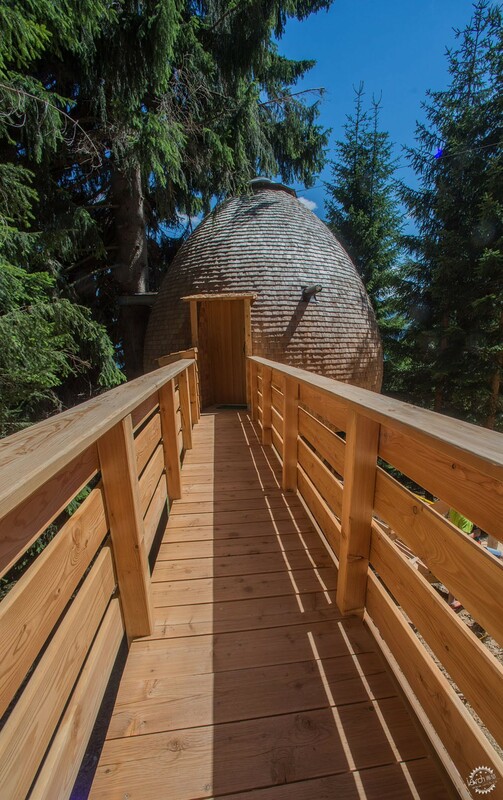 Pinecones also provided design cues for 3Gatti Architecture Studio when it devised a concept guesthouse and spa with an inflatable roof for a Latvian forest. Photographs are courtesy of DomusGaia.